Dc Comics, Batman, Lil Gotham, Comic Numero 9, De Coleccion! The Walking Dead, Comic, Volumen 1, Days Gone Bye!!! 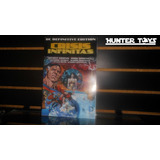 Dc Comics, Crisis Infinitas, Definitive Collection, Tomo!!! Marvel Comics, La Muerte Del Capitan America, En Ingles!! Marvel Comics, Civil War, Numeros Perdidos, Monster Edition! 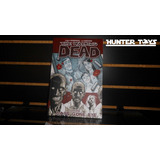 The Walking Dead, Comic, Volumen 1, Miles Behind Us!!! Capcom, Megaman, Comic Numero 04, De Coleccion!!! Sega, Sonic El Erizo, Comic Numero 257, De Coleccion!!! Comic Megaman, Numero 01, En Ingles Editoriales Original!! Naruto Manga, Comic No 18, En Español, De Coleccion!!! Fullmetal Alchemist No.16 , Manga, Comic, Edicion En Ingles! Spawn, Comic No. 200, Raro, Edicion Limitada, En Ingles!!! Marvel Comics, Spiderman Tormento, Todd Mcfarlane, No.5!!! Marvel, Spiderman, Comic Numero 620, De Coleccion! !